Do you admire your family and friends fireplace mantels? If you don’t have one, seeing their charming Christmas mantels could make you blue. Well, get a load of this: you can fake one with our mantel decorating ideas. 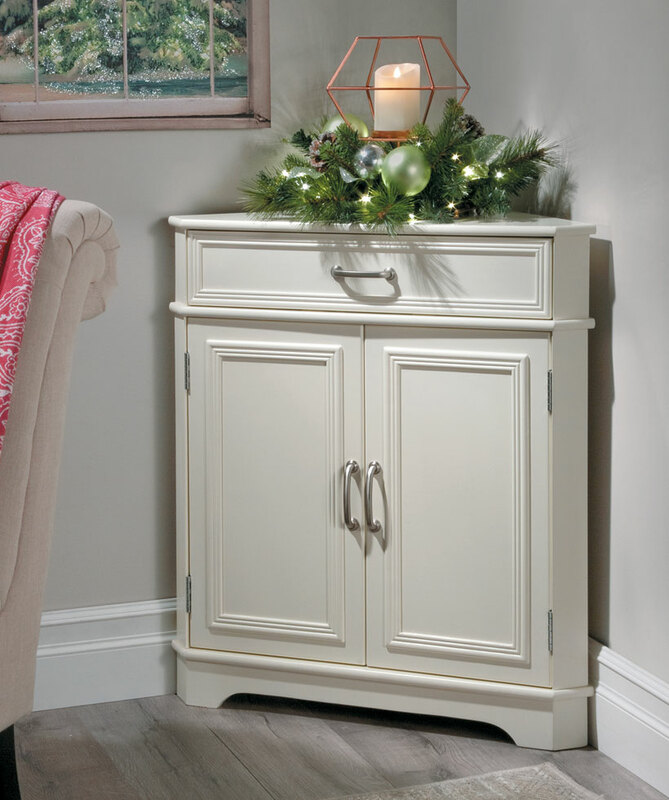 These faux fixes will brighten your space and give you the holiday look you want. Keep reading to learn how to fake a Christmas mantel. 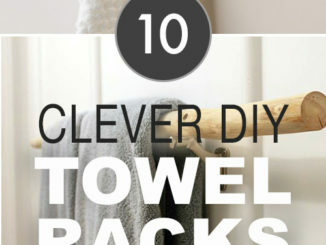 It’s simpler than you think! No matter if you have a large or small space, you can use the following Christmas mantel decorating ideas to create a faux mantel. And just wait ’till you try these. 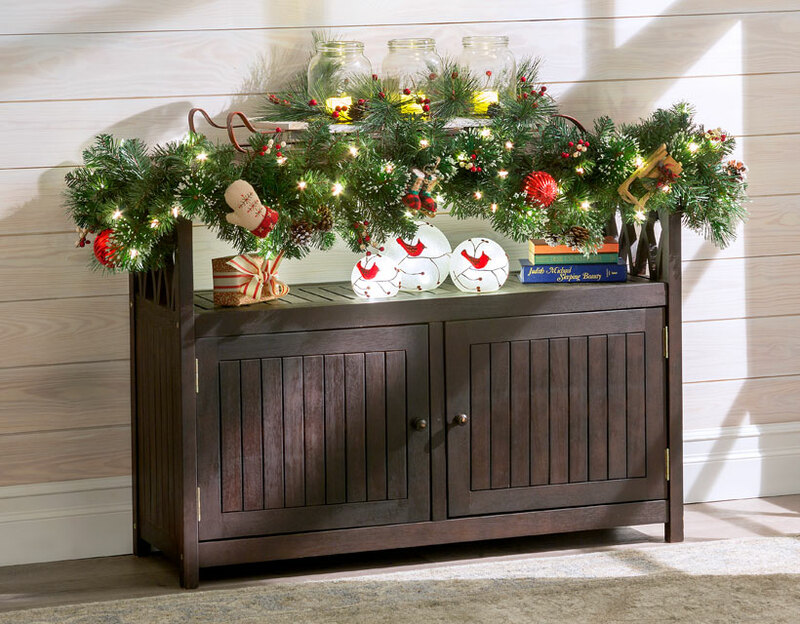 Your family and friends will be asking you for holiday decorating tips! 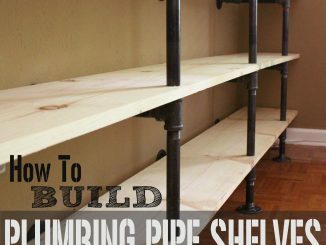 Don’t let the top of your bookcase go to waste. 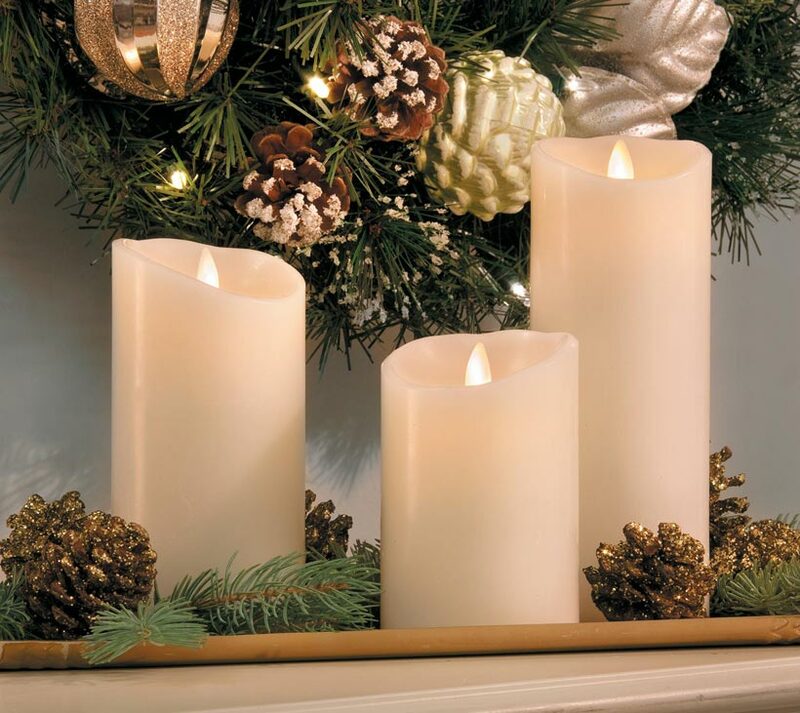 Decorate it with a lighted Christmas garland and flameless candles that feel like real wax candles. On the shelves, place Christmas gifts, books, and lighted Christmas paper houses. 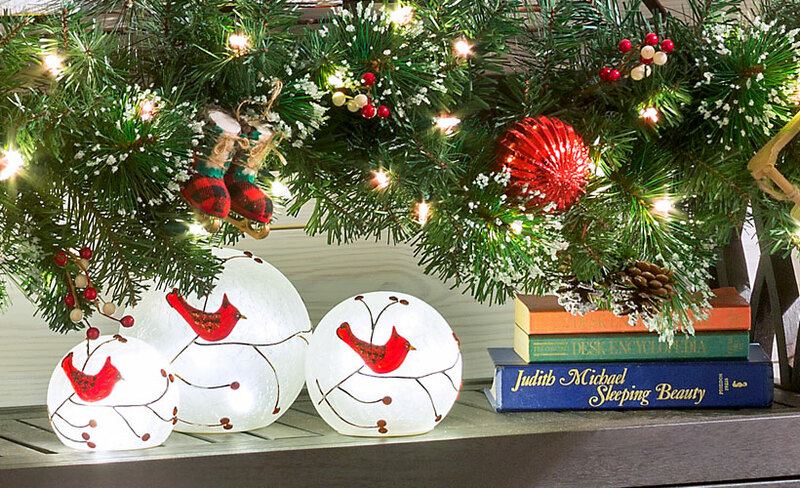 Decorate the sides with knick-knacks and decorative snow globe candle holders. See how pretty and elegant this looks? The fact is you can style it any way you like. However, keep in mind that less is more. Another option for faking a mantel is to decorate the top of a sideboard. If you have a staple piece like a sled with flameless candles on it, place it on top. Hang lighted Christmas garland that’s decorated with ornaments, red berries, a sleigh and bow, ski boots, mittens, and real pinecones. On the shelf below, you can add a Christmas gift, books, and pretty lighted cardinal globes. See that. Mantel decorating ideas extend beyond a fireplace mantel. Do you have a corner cabinet? If so, decorate the top of it with a Christmas centerpiece. For instance, you can use a pre-lit Christmas swag and put a flameless candle in the center. 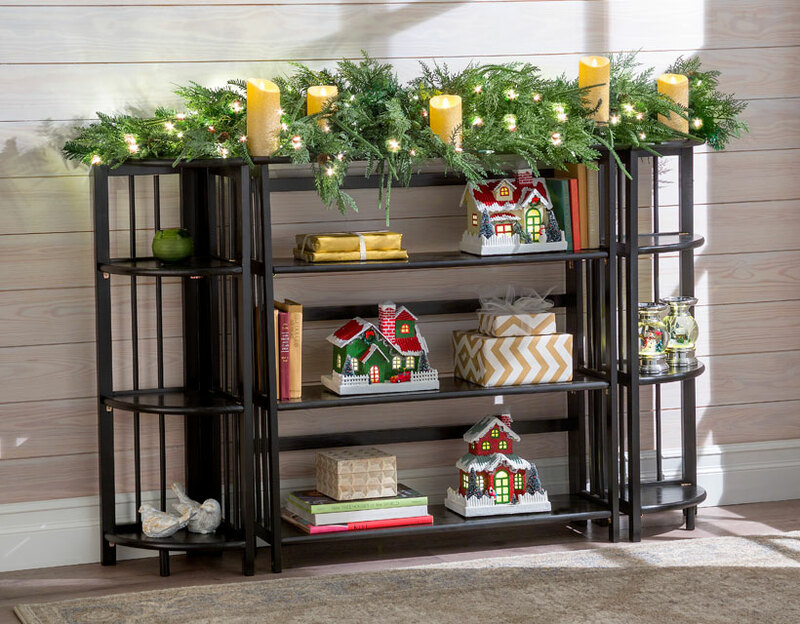 This simple yet elegant holiday decoration will illuminate your small space during the holiday season. Another way to fake a mantel is to use a console table. In fact, you may want to choose a theme and build the look around it. For example, you can create a “metallic” look by hanging a pre-lit Christmas wreath that combines silver and soft green on the wall. The silver Christmas ornaments, silver and iced-blue glitter, real pine cones with snow, and lifelike greenery will brighten up your small space in no time. On top, place a Christmas gift, glass set, and centerpiece featuring a flameless candle in the center. And if you have homemade indoor Christmas decorations or bright or warm white Christmas lights, include those as well. Who says you need a fireplace to create a Christmas mantel? Let go of your “mantel envy” and use our Christmas mantel decorating ideas to create a fake mantel today! And if you know someone who’d like to do the same, share this post with them via email or your favorite social network: Facebook, Twitter, or Pinterest. After all, it’s another way to give back during the holidays.